You're sending your child to camp this summer for the first time. But if you're like many people, that excitement is tinged with a touch of anxiety about it being a success. Going to summer camp can be a major stepping stone toward adulthood, with lasting and fond memories. Since you've made the decision to send your child to camp, you probably already know that summer camp can be so much more than just a fun vacation - it can help your child learn essential social skills, develop independence and build confidence, in addition to providing fun and friends. So what can you do to help make sure it's a successful experience? If the unknown can produce anxiety in adults, it holds doubly true for children. Their lives are typically more scheduled, predictable and protected and so the interjection of the unknown can be more unsettling to them. Talk your child about the check-in day as well as a typical day at camp, step by step. The more they know what to expect, the less anxious they'll be. For example, you may tell them we're driving to camp and it'll take about 3 hours. Once we get there, we'll check-in and meet the director, nurse and your counselor. Your counselor will then take you to your bunk and you'll meet the other kids bunking with you. After you talk awhile, you go to dinner, then the opening camp fire, and then off to bed. Even if you'll accompany your child through this process, it will be a comfort to them if they know what to expect ahead of time. Knowing that there are certain expectations of your child will help avoid surprises for your child and make the transition into a different living environment easier. For example, you might say part of living with other people means that the camp expects that you will keep your belongings together and tidy and not strewn across the bed and floor, that you'll have certain cleaning responsibilities, that you'll be your usual, wonderful, respectful self to others, whether they're adults or other campers, that you'll clear your plate after meals, go to bed at a certain hour, and that you'll be engaged with others and not using electronics such as phones, iPods, etc. These are pretty typical expectations of camps but your camp may have some different or additional expectations, such as service projects, etc. Discuss your particular camp's expectations. Part of the magic of summer camp comes from the sense of community that develops and making new friends as a result. If your child will be attending camp without a sibling or friend to accompany her, you can assure her that there will be other children her age and that many kids go to camp without a sibling or friend. You can also assure your child that you're confident he'll make at least a good friend or two, maybe more, but he doesn't have to be everyone's friend. While camp is a lot of fun, everyone has their ups and downs, whether it's homesickness, conflict with another camper, an ill-fitting bicycle helmet, or a lumpy mattress. You can explain to your child that part of growing up is to ask for help when you need it and not to assume an adult will always know when you need help. Your child should not wait to tell someone until they get back home; you'd be sad if they had a bad time at camp simply because they waited to tell you about a problem. Tell your child that her counselor is there to help and she should talk with her counselor. And if she thinks her counselor isn't helpful, there are other people who can help, perhaps a head counselor, nurse or director. Find out from the camp ahead of time who your child can talk to if she has a problem. Enthusiasm is infectious and you can do lots to set the tone. Talk about the great activities in which your child will participate and the fun he'll have. If your child is concerned about being homesick, it's a common temptation to tell him that he can call you and that you'll come and get him if he isn't having fun. 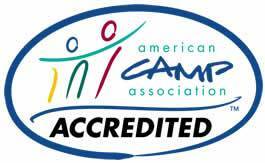 In our experience, that prevents the child from committing to the camp experience and actually gets in the way of him integrating into camp life. Express your confidence that he'll have a great time and make friends, and that you'll see him when camp is over. Avoid talking to your child on the phone if he's homesick. Once children get off the phone, they are invariably even more homesick. Instead, encourage them to talk to their counselor and to write or email you. Now, relax. Be confident that your child really will have a fabulous time and will come home with a newfound sense of confidence and independence, along with great stories about the fun they had and the new friends they've made!